It’s hard to believe that winter is upon us. Those of us who live in areas where snow is abundant anticipate this change of season; shortly after the leaves have changed color and dropped to the ground you know snow and/or ice are right around the corner. Those of us who deal with this change of season also understand the need to be more cautious while driving, packing extra clothes in the car in case you get stranded, and giving yourself more time to arrive at a destination. Wear proper shoes. When conditions are hazardous, it’s best to wear something with rubber, non-slip soles. This could be a good pair of boots or even just tennis shoes. If you are in an occupation that requires high heels or dress shoes, take them with you and put them on after you get to your desk. Park where the walking surface as been treated. Look for an area that has been recently shoveled/plowed and has “grit” thrown on it such as salt or fine gravel. Anything that can provide better traction will help you keep your footing. Keep your balance. One way to accomplish this is to keep your hands at your side and not in your pockets. In addition, avoid carrying a large number of items. Make two trips if needed. If handrails are available, use them. Never run or walk swiftly. This will only increase your chances of losing your footing or balance. Stay on designated paths. Don’t wander off in an area you’re not familiar with. More than likely that area hasn’t been treated with salt or fine gravel. Check out the weather forecast prior to leaving for the day. Prepare ahead of time for the weather events you may encounter. 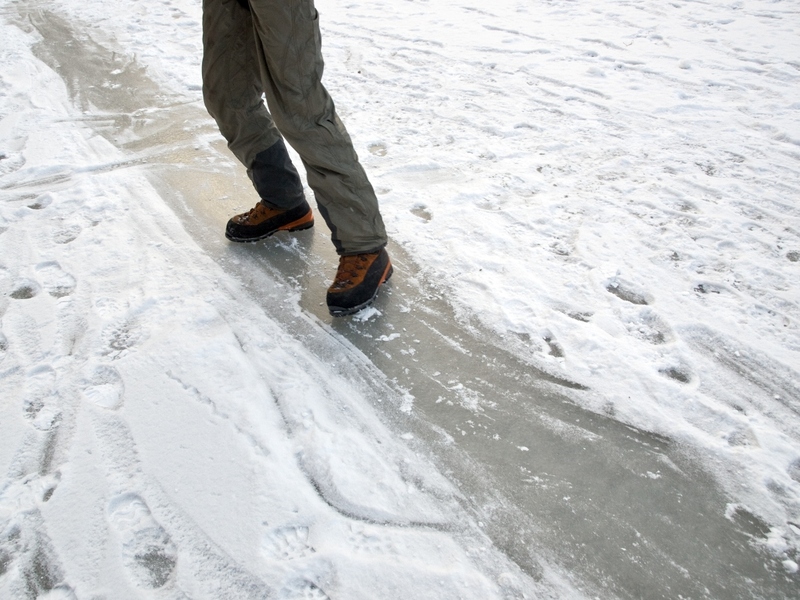 These are just a few ways to tackle the hazards of winter. What other tips can you offer? Is there special footwear you have had great luck with? I’d love to hear what’s worked for you!